Melt the butter in a bowl and add the Hidden Valley Ranch Dressing Package. 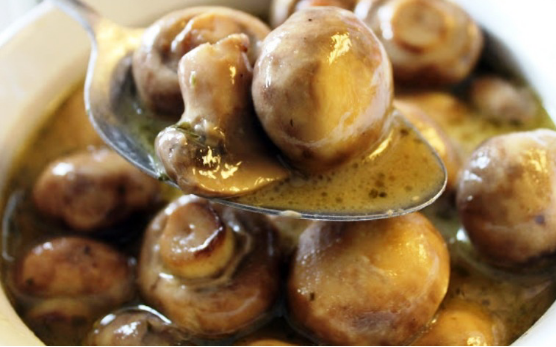 Mix well and pour over mushrooms in the crock-pot. Sprinkle with about two Tablespoons of Parmesan cheese or more to your liking. Let them cook in the crock-pot for 4 hours on low.